This week’s column features an interview with former congressperson, ambassador, and school psychologist Diane E. Watson, PhD, who has traveled the world addressing issues of race. SBB: Ambassador, please share recollections of your years in politics and social work—what impressions come to mind? DEW: Shelley, the first thing is I had to experience being female and African American. I learned early on that you have to prove yourself and that you have to define who you are and not let other people define you and your intent. You have to commit to being the voice of the voiceless and underserved. As the first African American woman to serve on the Los Angeles District School Board, I found myself having to speak for those who look like me, so that they could share in the benefits that come from a positive and progressive environment. I learned early on that there were those who felt they had to leave the inner city and seek refuge in the Valley. I found out that there was prejudice and racism and there I sat and had to respond to people who accused me, applying to put their children in inferior schools because I had a master’s degree in psychology and was a school psychologist. I learned to not let their words transform me into believing that what they were saying was correct. So what I did was transfer their words to paper and said they are talking about someone else and not me. I learned that when you are in the political arena you have to stand your ground when you are right against people who do not want you there. So two things impacted me: I was female and I was black, and I decided that I was going to stand tall for what was right and what was good and being an ethnic minority and a female. But I learned to speak for all children, not just those who look like me but to stand with all children to get the best education. Having taught in the best schools and having been in an atmosphere that promotes progress, it was not easy, but I turned it into a mission. An example of the racial prejudice that existed was I went out to a high school in the Valley with five other people who were running for the board. When I got up to speak to an all-white audience they got up and turned their backs on me. I was speaking to their backs and then they walked out but they did peep in the door to hear what I was saying. And to further display their ignorance, four men with t-shirts with KKK written all over them were trying to turn my car over. They did not succeed. SBB: You have a very impressive history of fighting for racial harmony and justice. Have you noticed change? If so, what kind of change? DEW: I have seen small steps to better integrate society but the recent events in South Carolina I think showed the world that the United States is still a divided nation. Outright racism and bigotry is a little more subtle, but if you look at our communities across the country it would appear that people of color are always suspect, therefore the recent killings of our young men by police indicate that we need to do a better job in this country by being responsible for our interactions; we have to take the walls down and learn to live together in harmony—we are not there yet. But, with the election of an African American president, there is still hope for change. SBB: Over lunch recently, we talked about possible solutions for racial harmony. What are your thoughts on the recent massacre in Charleston? Would you share those ideas with our readers? What is your vision and hope for the future? DEW: The current generation of young people have been born since the civil rights movement. They know very little about the south and the struggles we endured for racial equality. Most are born and educated in integrated environments and they live day-by-day thinking that the bridge we crossed is the bridge into a better life. They are not hung up on the ideology of the past. They live in the present and know that they can rise to any level as long as they are educated. Once we really look at how we treat each other in society and we begin to identify the subtleties in racism and begin to talk about them, then we can find solutions. I believe education is the key; conversation should extend your vision. As a result of Charleston, South Carolina, we need to start a national conversation. I think those conversations being honest and open will change people’s perceptions about the groups that do not look like them. Getting to know your neighbors and their values will help you understand their behavior. Pre-judging is the wrong thing to do. Even with our U.S. Constitution, you are innocent until proven guilty. Prejudging is prejudice. Just because someone’s skin is a different color or their eyes are a different shape, does not mean that there is something negative there—as Martin Luther King said, we don’t judge by the color of skin but by the contents of their minds and behavior. Shelley, we need to know more about each other and discover people’s hopes and dreams. SBB: I know you have traced your roots and family history back to the Central Republic of Africa. You have visited the continent of Africa, and you told me about some wonderful experiences. Would you mind sharing? DEW: My roots come from the Central Republic of Africa. Apparently we were brought here to work on a plantation in Holly Springs, Mississippi. The slave owner gave us his name, Watson. So, I traced the name and went to London and found the crest and the clan of Watson and found out that Watson was Scotch Irish. Our names were taken away from us when we were brought to this score. My actual name might have come from the Ibo tribe of Nigeria. When brought over, husbands and wives were separated, sent to different plantations and their children were sold to other slave owners. So, tracing your roots was the mission that Alex Haley took on in “Roots.” I had the pleasure of spending five hours with him on a flight to Europe and I learned so much from him, and he was inspired by listening to the elders talk about the Africans. So, I was inspired by him, since he traced and found his natural roots. Then I started taking groups to Africa, and then just before apartheid I started taking groups to South Africa and I found the people on the content were gifted in the fact that they learned naturally how to live in harmony within their own environments. How to survive with wild animals, how to understand nature, accurately, knowing what time of day it was without clocks, being able to tell what season we are in, learning when to sow and when to reap, learning how to conserve water and find it and use it to benefit the entire village. The loyalty to each other and the caring for each other was phenomenal. The man would never leave his family; in this country, the missing male symbols in homes with children was learned behavior, for the white man’s own benefits, the structure of families was broken, so when things get rough the man gets going—all learned behavior. I, for all of my adult life have traveled across the world, starting with teaching in Okayama and from which I could travel throughout the Far East, even learning some of the languages, which would shed light on their culture. Learning to respect each other was an enlightening experience, saving face, is something that we all need to value in our western society. Seeing how people care for each other and share their meager supplies. Always having something there for people who have nothing. SBB: What is the problem? Why is there still racial prejudice? What do you observe? What is the root of our agony that we are tearing ourselves apart? DEW: I think that there are still societal issues that have not been dealt with and I think if your skin is not the same color of mine, there must be something wrong with you. This country was established based on bringing people in to grow your crops, pick your crops. People were enslaved to do the bidding of the master, grow his crops, pick his crops, and do his bidding. It was sold on the block and purchased by people who owned them, that relationship still remains more subtle, but still there, based on the past beliefs that people of color were inferior to whites. We really have to weed out prejudice, bigotry, and hatred. The courts can change the law, but not always men’s minds. Therein we still agonize over what is the progressive thing to do and what is too conservative for relevancy in this era. Until that strain dies out, there will continue to be subtle bigotry. We have really not come together as a nation, who really believes in equality, justice, and fairness. Those that want to keep these past unjust offenses of others do not realize that we are living in a global economy that people of other colors are a part of. We cannot hold onto the misconceptions that might have served this country well a couple of centuries ago, for they are truly irrelevant in today’s climate. We need to expand our minds and find the worth in each other and keep the door open for the best coming over our borders from other countries for they bring the two to help us build for the future. Coming together should be our theme. The harsh heritage that did not destroy the endowment of African culture and creativity instead turned the satirical minstrel show into the strut, then into Scot Joplin and his ragtime opera; the sensual, perfectly pitched moan of Bessie Smith; Louis Armstrong who changed American music forever by inventing the solo; Charlie Parker, Dizzy, and Miles. It gave us jazz. And Miriam Anderson, who sang “God Bless America” on the Capitol steps, the musical elegance of Nat King Cole, and rhythm-and-blues music with its strong, repetitious, searing rhythms and simple melodies, a bridesmaid at the wedding of jazz and rock-‘n’-roll. It’s Michael Jackson, and it’s the throbbing words of rap, a living oral history of inner city pavement poetry. And it’s all part of the cultural spine of this country. It was born under the lash, survived ridicule, and is the historical gift of enriching artistic creativity that survived suppression and oppression. It turned the Victorian global scourge of money-driven slavery into our most alive modern music; changed the minuet into tap dancing, Katherine Dunham and the Nicholas Brothers; and inspired painters to study the depth of perspective of African art. Freud and Jung both kept museum quality private collections of “primitive” art, and Jung traveled to Africa to study native art and culture firsthand. One certainly can make a case that much of Victorian England and the American South were financed and constructed by and with slave profiteering—the kidnapping, submission, shackling, and forced slave labor of an entire race of men, women, and children. Those crimes, the Victorian century’s racial holocaust, are a matter of history. When do we acknowledge not only historical culpability for these crimes, but equally our cultural debt to the creativity and civilizing enrichment taken from that race that was enslaved? 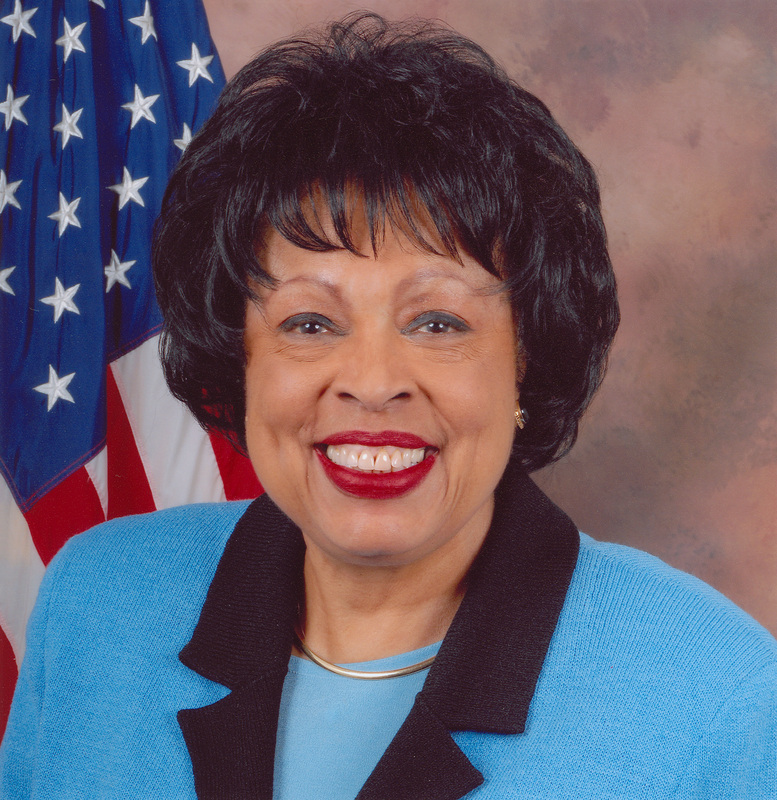 Rep. Diane Watson (D-Calif.) announced her plans to retire on Thursday.